We encourage prospective undergraduates and their families to visit The University of Texas at Austin’s campus, nicknamed the Forty Acres after its original footprint. High school students considering The University of Texas at Austin are best served by a Prospective Freshman Session and Tour. An admissions officer shares details about the university, after which current students lead a campus walking tour. Prospective transfer students should take part in a Prospective Transfer Student Campus Tour. If you're a prospective graduate student, your next step should be on campus. There's no better way to sample life at The University of Texas at Austin than a graduate campus tour. Want to learn more about a particular college, school or academic program? Interested in a residence hall tour? Register for an interest session taking place the day of your visit. Teachers, counselors, and group coordinators: it is never too early to prepare your students for college. Visiting our campus can be a great way to introduce groups of 10-100 students to life beyond high school. We encourage you to request a group visit today! Monday – Friday, 8 a.m.–5 p.m.
Can't make it to campus? Attend an event hosted by one of our regional admissions centers around the state. There’s always something happening on campus. 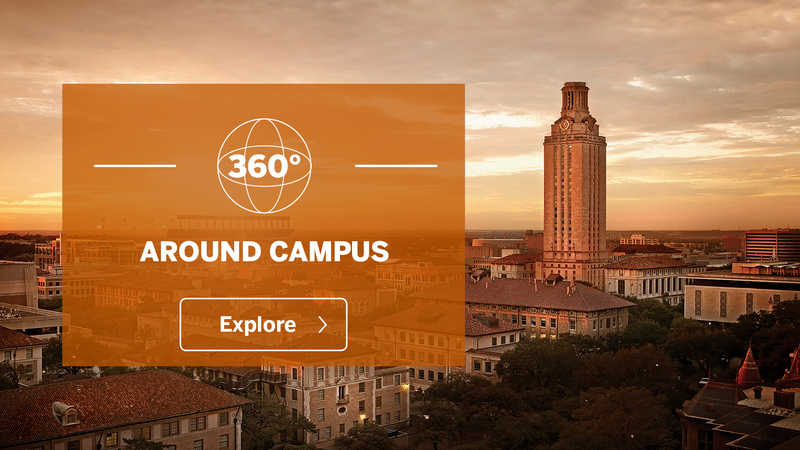 While you’re here, take advantage of the opportunity to see for yourself what a day in the life of a Longhorn is really like by visiting some of our campus destinations.